She calls me "Mama Leisha": Love Napkins! My mom did that too. I wish I would of saved some like you did. That is my favorite memory of lunch time at school. I have tried to do the same for my girls. 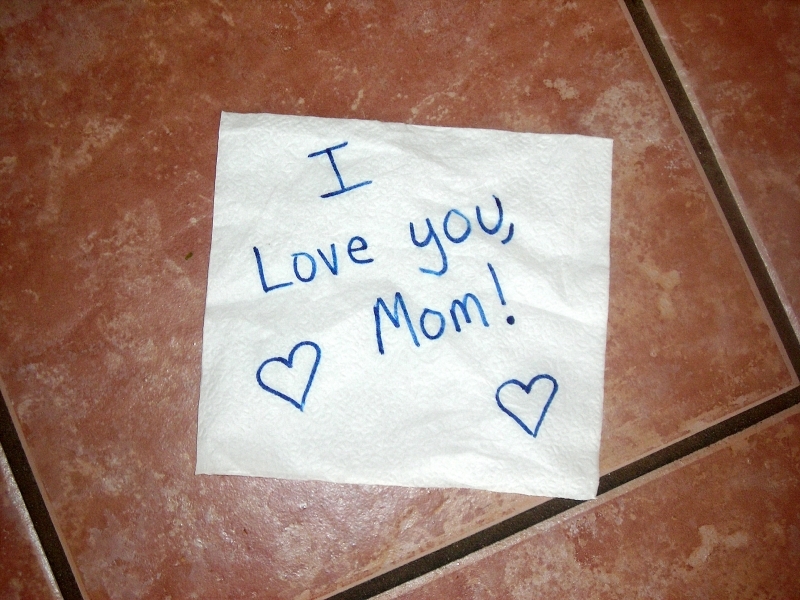 Now that Sam is older a tiny heart in the center of her napkin is what she gets. She doesn't like to be embarrassed. Maci still loves them. I ran out of napkins a few weeks ago. 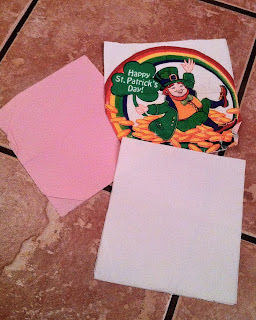 Seeing your post reminds me, I need to buy more napkins. Love you!! I loved this post! :) Very beautiful message! Thanks Leish! Love ya! 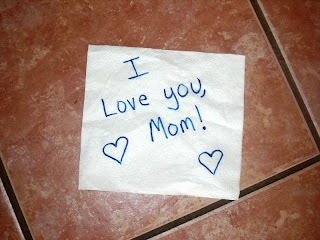 Not surprised to hear Mama Marsha wrote love napkins!! She is awesome. And I'm not surprised to hear her daughter is following in her footsteps! You are a GREAT mama, Jeni! Such a sweet post Leish! Your mom is such a great mother, like a second mother to me in highschool! I rember wanting to do things like her too! Your house was always decortated so cute and sleep overs and family dinners were always such a treat! 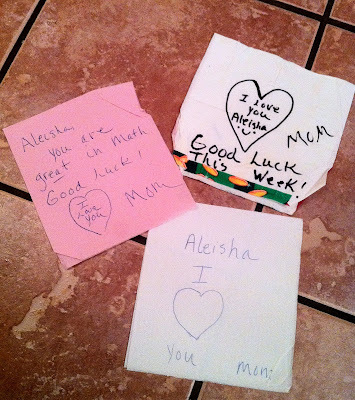 I have been writing notes to my oldest in her lunch too - she told me the other day that she kept it in her pocket and would look at it on the swing at recess. It really is the little things. :) Hope you have a Happy Mothers Day! Thank you, Krysten! Checked out your gorgeous blog! You are talented! Thanks for "reading me."